Siri came out and suddenly a normal working day in office became fun, testing and manipulating the possibilities of this new Artificial Intelligence tool. Oh yes, definitely, we are interested in being the early adopters of chatbots. Even you should think about it because it will be too late to find a place when everyone is aboard. A Chatbot is a software program that uses messaging as its primary interface, facilitating different business and administration tasks like scheduling a meeting, weather reporting, and assisting consumers in buying a variety of products. 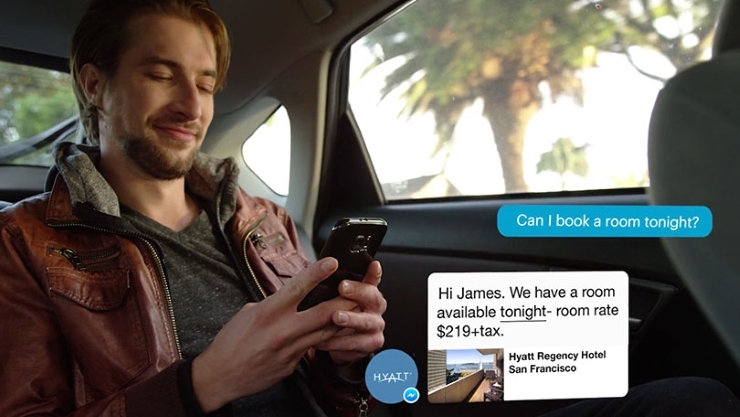 Modern chatbots are influenced by advancements in artificial intelligence coupled with the ontogenesis of messaging apps. It was assumed that the bot revolution is still in the early evolution phase. However, now it seems that the actual bot revolution will start right from this year. Is it the Right Time to Embrace Chatbot Technology? Touting the potential in this evolving technology, Google, Facebook and Microsoft each have unveiled their chatbot strategies. For sure, this is an attempt to divert the attention of the corporate world towards understanding how this technology will enhance their customer service capabilities and overall business processes. A few months back, Yahoo also joined the bandwagon by introducing chatbot functionality in its messaging app Kik Messenger. Google in its ‘May Developer Conference’ introduced “Allo” a smart messaging app. The AI enabled app features Google Assistant that helps users in easily finding the information they are looking for and completing the tasks as per intentions of the user. For Example, a user looking to reserve two seats at nearby Italian restaurant gets to find a modest Italian Restaurant near his location. Additionally, he is able to check the menu, ratings, and reviews and if wanted he/she can proceed to reserve seats without jumping between several apps. ‘The F8 Developers Conference’ took place in April where Facebook introduced its Messenger Platform with Bots service. 1-800-Flowers.com developed a chatbot using the same Platform. Now, a visitor can order flowers by chatting with the bot, get the detailed weather report from Poncho, a cool cat in a hoodie, read the latest news at CNN, and easily print documents using HP Print Bot. Using the tools APIs or SDKs provided by Facebook Messenger Platform, companies could now build different chatbots that will answer customer queries or perform tasks as and when necessary. Everything without letting the user leave the ecosystem or open another app. ‘The Build 2016 Conference’ in March was the occasion when Microsoft for the first time introduced its Bot Framework. Microsoft has carefully designed and developed this framework for developers to build bots with Artificial intelligence. In these AI bots, customers can speak naturally via text messages or by using different instant messaging platforms like Skype, Slack or Microsoft’s digital assistant Cortana. Majority of chatbots we know today are text-based, these chatbots have the capability to augment an answer and come up with a solution to complete the task. Then there are some voice recognition bots that need exact commands to perform the action or you have to speak about 100 words until it understands exactly what you need. This is the time of sophisticated chatbots wherein the bot recognizes even the nuances in the user’s voice to complete the task easily and without much fuss. 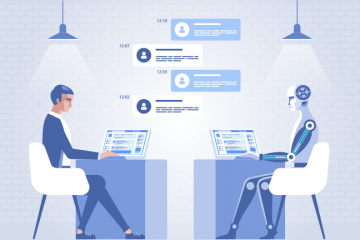 With a motive to create chatbot imitating human form, modern chatbot development is focused on giving an impression to customers that they are actually chatting with another human being and not with some smart software. In the evolved version of chatbots, advanced machine intelligence meets the power of natural human language. Combining the natural way of how humans speak; modern chatbots are developed by combining voice recognition with artificial intelligence. The goal of evolution in chatbot technology is to reduce costs and lower expenses in the areas wherever possible as if customer service. Moving ahead there are many applications where chatbots can be used effectively. For example, when a voice recognizing chatbot is combined with the online video service provider like YouTube, there is a huge possibility of taking e-learning to the next horizon. Customer Service/Answering Customer Queries: Incorporate Artificial Intelligence and a bit of machine learning in your customer service by using chatbot as the first point of contact to respond quickly and efficiently to customer queries. By combing speech recognition, it is possible to use a talking chatbot. 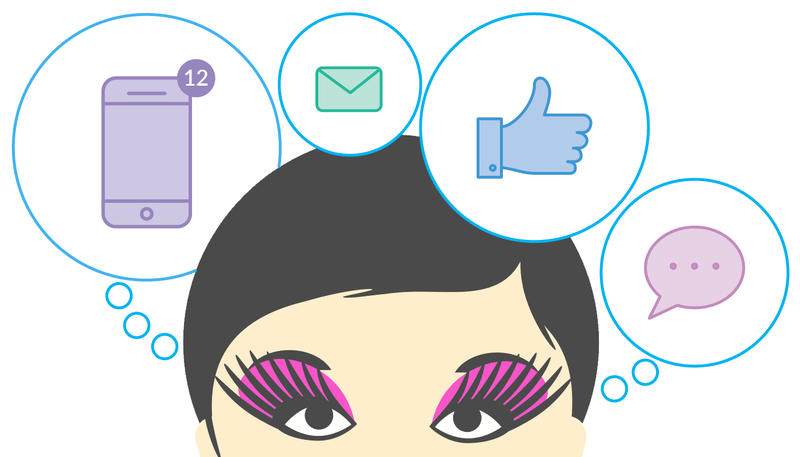 Conversion/Influencing Buying Decisions: Chatbots empower businesses to ask the right questions at the right time. By utilizing this feature, you can collect information from the user or visitor and provide them with precise information or link, irrelevant whether you are using text/button or an image. 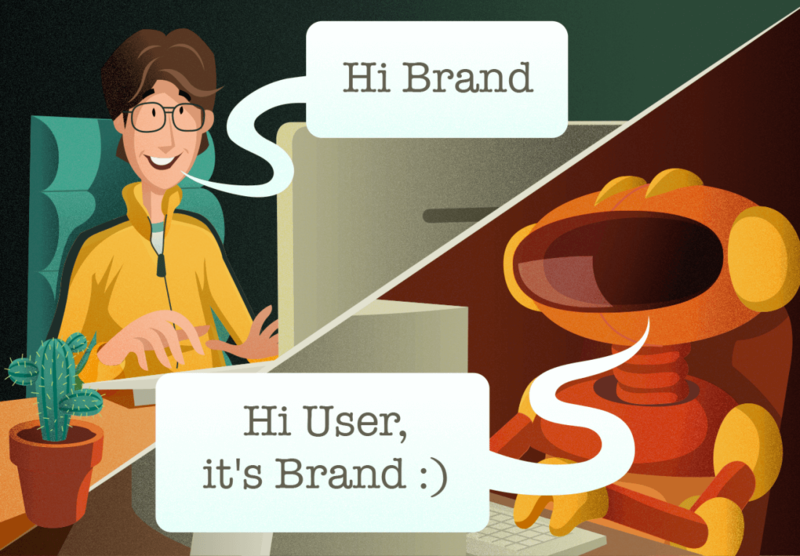 Lead Generation: You might be using a bot or you might not have one, building audiences is essentially similar to conversion. Personalize a bot to ask questions, send updates and learn what works and what not with your audiences. Size of the business does not matter when it comes to embracing new technology. Introducing chatbots for the growth and betterment of your business is a nice idea. However, you will have to conduct thorough research and analyze how your customers will be benefitted with it. Think about how and where you will introduce the chatbot as well as when and where will your develop a chatbot meeting your expectations. Inject a bit of artificial intelligence into your customer service and overall marketing mix and seamlessly automate business processes to enhance productivity. Interested to build your own chatbot. Allow us to do it for you! Our expert developers experienced in AIML, as well as different AI and chatbot technologies, will build a virtual agent that precisely suits your requirements. If you want to integrate an Avatar or virtual look to the bot, we will do it. Supporting your futuristic approach, we will inject speech recognition capabilities in the bot. Just contact us and we will let you know how we do it.